Learn why a past life can be affecting us today when it didn�t years ago. And why just viewing it isn�t always enough to remove the root cause. Leslie McIntosh is a Board Certified Clinical Hypnotherapist, specializing in Regression therapy and Parts Therapy. She has over 25 years of facilitation experience. She is recognized by the International Medical and Dental Hypnotherapy Association as a quality trainer. Her students are recognized as some of the best professional Hypnotherapists in <?XML:NAMESPACE PREFIX = ST1 />North America. She is certified as an Instructor and is Board Certified by the National Guild of Hypnotists. The school is also recognized by the Natural Therapies Certification Board. Over the last decade she has assisted many others to release limiting beliefs or behaviors to support their own healing and move forward with a new profession. Through her mentoring and training skills many graduates have developed the confidence to become Trainers themselves. 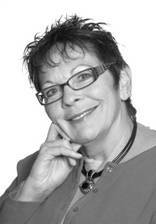 Leslie is also a Trainer of Heart Resonance Therapy, and has done Healing Touch and Vibrational Sound Healing. With her many years of facilitation experience, Leslie delivers learning according to leading adult-learning methodologies. She also has a private Hypnotherapy practice in White Rock, BC.